"Yew in the courtyard of Wright and Heritage Halls, 1980" by L. Michael Hill Ph.D. This yew (ca. 1980) is located in the courtyard of Wright and Heritage Halls. 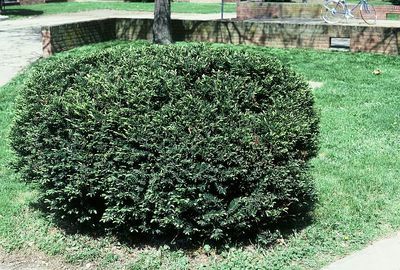 It is a hedge plant common all over campus.